Commercial pressure washing or as some people refer to it power washing, keeps your business looking fresh, clean and professional. Our goal is to keep your business looking its best, while providing you with top-notch professional services. We use state-of-the art pressure washing technologies and techniques. Our crews are highly trained to professionally clean all types of surfaces. Each crew member has been specifically trained for each piece of equipment we use to ensure you receive the highest quality levels from everyone on our team. If you are a business owner, you know you only get one chance to make a great first impression. Having your business exterior looking its best is crucial when it comes to impressing your customers or visitors. Clean walkways, common areas, dumpster areas, parking lots, are all areas which may need to be cleaned on a regular basis. You may also not think much about it, but your roofs, gutters and the outer walls of your business all should be cleaned on a regular basis as well. With the high levels of humidity that we experience here in Houston, keeping up with a routine maintenance schedule is crucial. Due to the humidity levels all of the outer surfaces of your business become a breeding ground for mold, mildew and algae. Keeping these areas properly maintained will save you from high cost repair fees in the future. We are considered the most professional pressure washing specialist in all of Houston and the entire Metropolitan Tri-County area. We know you have a business to run, and sometimes doing the cleanup work needs to wait for specific times of the day. We will work with you the actual business owner, your General Manager, Project Manager, General Contractor, or anyone you designate as being in charge to determine the best time of day to do the power washing. We will ensure that our crews do not interrupt your normal flow of business. If that means we work after hours, then we will do all things necessary to meet your needs. We look forward to serving you and your business. 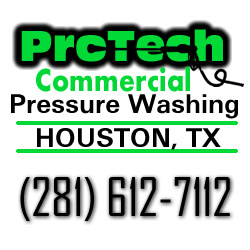 Large pressure washing jobs around Houston are our specialty. Parking garages can become pretty dirty places if not maintained properly. 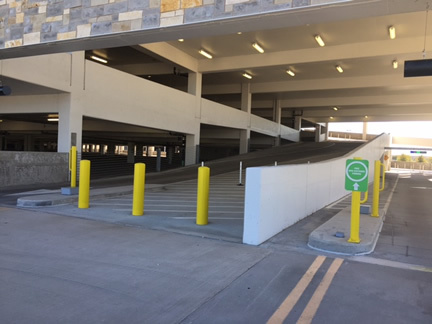 We have the experience, and technology to super clean the walls, ceilings, floors, and ramps of your parking garage and make them sparkle like new. We utilize many different techniques to ensure we provide the best desired results for our customers. 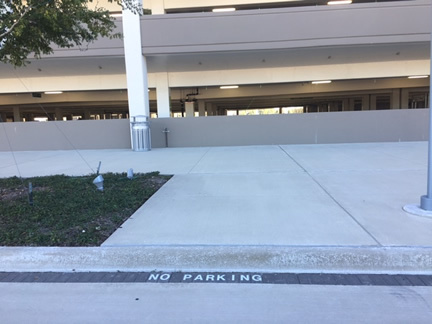 If you have a parking garage it may be time to have it professionally cleaned. We would love to hear from you so give us a call today for a FREE quote. 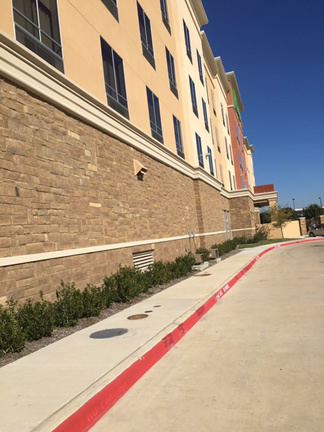 We work with many different property management companies in and around the Houston metropolitan area to keep our city beautiful. It is unfortunate, but a reality that when you have retail strip centers you will see a flood of gum on sidewalks, oil stains in the parking lot, graffiti from time-to-time, and also a menagerie of other types of soils and stains. We are your number one source of getting these issues cleaned up. We have the expertise, and equipment to handle all types of soils and stains in the retail strip center space. 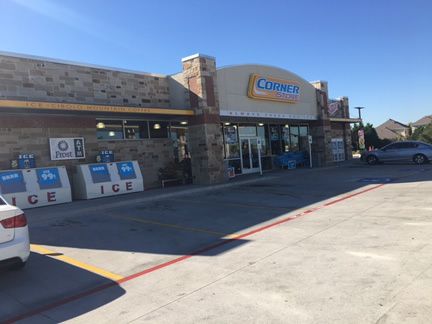 Working with you and your management company to get your strip center on a regular maintenance schedule will not only keep your business clean and tidy, but will also keep your customers happy and impressed. We do understand that with foot traffic in and around your strip center we will most often times need to work after hours to not disrupt your business. We will work with your management team to determine the best times for to arrive onsite to make your shopping center look spectacular. Let’s face it if you are a restaurant owner you know that keeping things clean will attract customers. 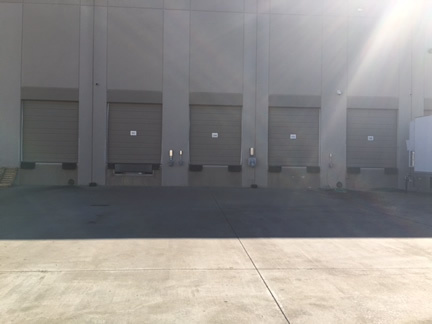 If you have been neglecting your building’s exterior, the sidewalks, parking lots, drive thru areas, or dumpster areas, you can potentially drive business away simply because things are not clean and up to par. Do your business a favor and hire our crew to come out and clean things up for you. You will not be disappointed in the results. As with any other business that is frequented by the public, it can get dirty quicker than you expect. We would love to put your business on our schedule and come out regularly for continued maintenance. We would love to discuss with you, your needs and make sure we over deliver on your expectations. Maintaining a professional appearance is a must for all types of businesses, especially for hotels. Your guests are arriving sometimes after a long journey, or arriving for a week of business away from their family. 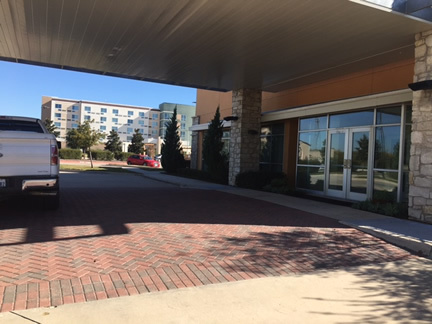 Nothing is more inviting than arriving to a clean entrance, sidewalks, pool areas, and beautiful exteriors. Even if your business has onsite maintenance teams, they may not have the industrial equipment to give the deep clean that our professionals can with our pressure washing equipment. If you need a professional power washing company to come in and give your business a deep cleaning we will be glad to assist. If you have lived and worked in Houston, Texas for very long, you understand the high humidity levels we experience in the city. These higher humidity levels help mold and mildew to start growing rapidly on almost every surface you can imagine including your roof. Keeping your roof cleaned and free of mold, mildew, and algae, will help you to reduce higher maintenance costs in the future. We always promote keeping up with a routine maintenance schedule to keep your property (especially your roof) clean and protected in order to reduce costly repairs in the future. We have actually been seeing cases in which insurance companies are refusing to pay for damages when it is discovered that there is a mold, algae, or dirt build up problem on the structure, claiming poor maintenance as a cause for the damages. Thus why we suggested routine maintenance for your property. You can definitely increase the life of your roof with proper care and maintenance. If you have any questions we would love to discuss this with you further. Your commercial roof is no different from a residential home roof when it comes to how you maintain and keep it free from dirt, debris, mold, mildew, algae, pigeons, etc. You should call on the pros… yes that is us… to ensure that your roof is properly cleaned and maintained. We are the specialist you need to call when your business has been hit with graffiti violence. We have specialized techniques and the proper equipment to remove graffiti from all types of surfaces. Not only do we use the proper equipment we are patient and give a little TLC to make sure we remove the graffiti while maintaining the integrity of the specific surface of your structure. Providing you with a FREE quote for your pressure washing project is important to us. We know that your project is important, and since each project is different we will need to visit with you to determine what work you need to have completed. Once we fully understand the scope of the project we can provide you with the most accurate estimate possible. Rest assured, our prices are competitive and the work we produce is second-to-none. We are not satisfied until you are satisfied. The best compliments we receive is when our current customers refer our services to their friends, so we strive to offer you the best service in the entire Tri-County area. We do acknowledge and understand you have many different choices when trying to choose a pressure washing company in Houston. We do appreciate you allowing us the opportunity to bid on your current project. We also look forward to becoming the company that provides you with continued routine maintenance for your business. We know you will not be disappointed with our services as we strive to provide the best customer service experience in the industry. If your business has multiple locations, we would ask that we also be put on your current vendor list as your number one top provider for all pressure washing requirements.